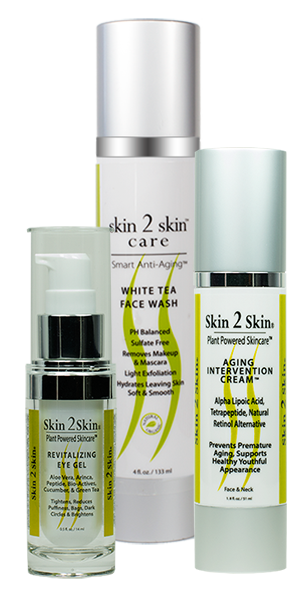 Skin 2 Skin’s White Tea Face Wash is a sulfate-free, powerhouse anti-aging, antioxidant-rich, nutritional, and daily hydrating cleanser. Skin 2 Skin’s Nutritional Complex provides 200 of the skin’s essential nutritional needs including seven essential amino acids, 10 vitamins, minerals, fatty acids and enzymes. This face wash revels softer, smoother and toned skin while gently cleansing away excess surface oils and pores, as well as makeup and impurities. The White Tea Face Wash includes four natural and organic skin conditioners to hydrate and soften the skin for a healthier and younger appearance. It is particularly an excellent cleanser when used with a Clarisonic, Foreo or even a face wash cloth. Multiple awards as The Best Facial Cleanser. Use with Skin 2 Skin, AB-HA Exfoliating Cleanser, once a day to 3 times a week maximizes the benefits of the exfoliation to help maintain a smooth younger complexion and controls, blemishes, skin buildup, dulling of the skin, dark spots and discoloration. For external use only. If irritation develops, discontinue use. Keep away and out of reach of children.